The predictions continue to swirl. 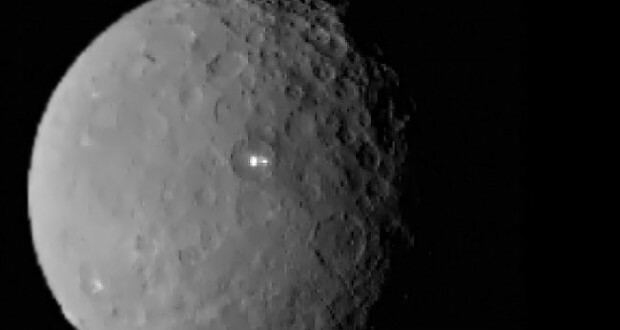 And, until Dawn can gather more data, NASA wants to know what you think is responsible for Ceres’ bright spot. Visitors can select between a volcano, a geyser, a rock, ice, salt deposits, or “other.” An alien civilization best fits in the “other” category, obviously. And, at the time of this story’s publication, the “other” option has 29% of the votes, bested only by “ice,” which has 33% of the votes. 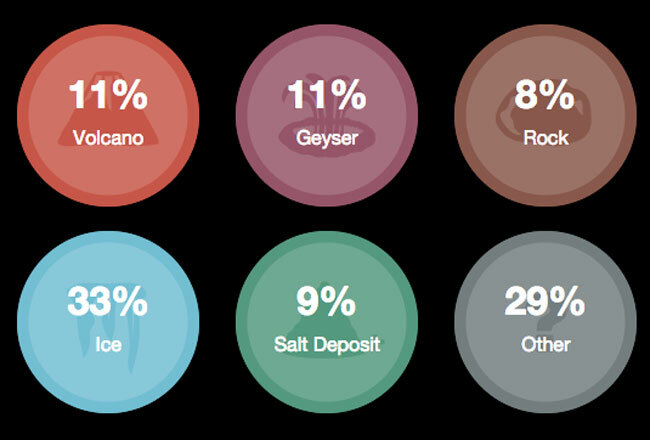 You can share your guess with NASA at jpl.nasa.gov/dawn/world_ceres/. I remember telling NASA to go check it out. It appears to be perhaps orbs of light much like I summon. They may be gone when you check it out with the probe but those are two very bright lights and the scale of them bode investigation. 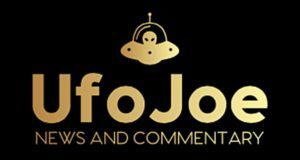 I do believe that various people have confirmed that there are aliens on Alpha Centauri B after consuming DMT/ayahuasca. They are trying to reach out to us. I think more people in positions of power in the scientific community should experiment with hallucinogenics so that the resources we currently have can be put to more precise use. It seems to be kind of a waste of time doing a lot of the things we currently do if spiritually advanced people know where to focus our attention to while NASA is looking at Mars. If we can contact the brothers and sisters on Alpha Centauri B, our evolution would speed up considerably. Well, here’s the thing: close up, we’re going to find that there are many, MANY such bright spots (a far cry from just two! ); but NONE of them are going to span any more than about five pixels across — thus perplexing the scientists still further and further! An alien city of ice buildings? I wouldn’t be all that surprised! And so, I just thought I’d give you the “heads-up”, on what to expect. they were prob asteroids that hit the dwarf planet not to long ago. Maybe we just missed it. could have been made from materials we’ve never heard of. Or maybe the planets made of gold under…just gotta dig a lil. Perhaps methane ice, either frozen on the surface or being ejected in geysers is responsible for the unusually high rate of reflectivity. I am confident that further examination at closer ranges will yield more concrete answers than mere speculation. The spots seem to only be reflecting light rather than generating it – as they stop shining in the shadows. The truth will be far less exciting than the exotic hopes oor wishful thinking. – It’s unlikely to be volcanic, water or ice, with no atmosphere and little gravity to sustain these. – It’s EXTREMELY unlikely to be anything artificial or living. I guess that just leaves minerals or salts of some sort. This is a monument left to humanity by humanity. We came from the stars and colonized earth abandoning all technology. We left a reminder on ceres knowing full well that one day a space fairing civilization would eventually find it again. We are about to meet our true ancestors and history again. just about any natural phenomena would exist in more than one location. and the asteroid belt is prime colonizing space. i think there’s good reason to think this is legit. I agree that it’s probably a field of salt crystals or ice upwelling to the surface. But as I looked at the images a song from an old cheesy sci-fi movie called The Green Slime ran through my head. The paper mache planetoid they visit looked disturbingly like Ceres. Well except for the spots being green. Claiming that Dawn spent a month on the dark side of a planet that has a circumference of 2000 miles makes no sense. The fact that NASA is slow to release pictures also bothers me. I would love to see a color picture like the one Hubble took to see what Ceres actually looks like. It is obvious that it is some kind of reflection since it isn’t visible from the dark side. Any flat reflective surface would not present such a steady light especially when the crater is in shadows. Ihink of the reflective paint on highway signs whose reflection is steady despite the varying angles of incidence my headlights generate. Could the ice volcano or geyser or whatever be presenting a plume composed of spherical ice particles that act like the glass beads in traffic sign paint? What I don’t understand about the two bright spots is they don’t show up at all until they’ve moved halfway across Ceres. The lesser bright spots are visible all the way around the circumference. Any ideas? 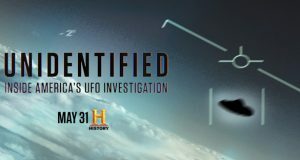 I think its not extraterrestrial. I think we could learn how cold fusion work in ceres. Maybe its a trap gas, with intense pressure on ceres biosphere. Coincidently with the help of NASA Dawn spacecraft on taking the pics on the angle where it shine. Maybe the atmosphere in ceres reflict light down on its biosphere.